THE GALA & AUCTION IS AT CAPACITY. A LIST WILL BE TAKEN IN CASE THERE ARE CANCELATIONS. Online ticket purchase is available for reservation holders only. Please pay online or by check by April 15. For serious bidders who are not able to attend, call-in bids will be accepted. Call 662-252-9745, 662-252-9726 or 662-551-8028 to set up arrangements. 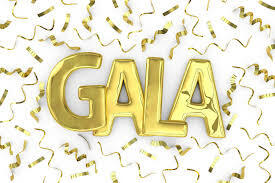 The Board of Trustees has set Saturday, May 11, 2019 as the date for its major fund-raiser, the Kate Freeman Clark Art Gallery Gala and Auction..
A highly-anticipated social event, the Gala will feature a seated dinner, live band and dancing, silent auction and a live auction. The activities of the Gala will be staged on the new patio covered by a tent as well as in the newly renovated Gallery building. The live auction will provide a rare opportunity to bid on three original paintings by Kate Freeman Clark and art work created by noted artists, including paintings from former Visiting Artists who have exhibited at the Gallery. This year's Gala is featuring the auctioning of paintings donated by pervious Visiting Artists including Randy Hayes, Ann Seale, Sanders McNeal, NJ Woods, Paul Edelstein, Dot Courson and a painting by the late Vadah Cochran. A Giclee reproduction of a Kate Freeman Cllark painting produced by former Visiting Artist Tom Joynt will be raffled during the Gala. Music for dancing will be provided by show band, The Dantones. The Gala and Auction will begin at 6 p.m. until midnight. Tickets to the Gala are $100 per person. Tickets can be purchased online HERE. Payment can be accepted at the door provided a reservation has been made a week in advance of the Gala date of May 11, 2019. The Kate Freeman Clark Art Gallery officially opened with the 2nd annual Autumn ArtFest on October 13. 2019. The new construction added space to the east side and rear of the building. The main purpose of the addition is to establish a climate-controlled environment for storing the hundreds of Kate Freeman Clark's paintings and drawings. A temperature and humidity controlled space will reduce deterioration while a program to restore paintings for display continues. The addition also added two handicap-accessible restrooms to better accomodate social events, a long-sought need that has become a necessity. Also added is a pantry that is usedto store kitchen items cutlery. dishes and is a cooking space with new ovens and cooktops.. Renovation of the building provides addition display areas, storage for tables and chairs and an office. An exciting new development is a patio constucted in the backyard to accomodate outside parties and an overflow place to socialize when the inside galleries are holding seated dinners. The second annual Autumn ArtFest will feature an exhibition by Mississippi Artist Dot Courson of Pontotoc. Dot has been a drawer and painter all of her life. She took her first art course in college. When she returned to school to complete her Master’s in Nursing/Healthcare Administration, she found time to keep painting and studying privately in the early 90's with the late Billy Kirk, a noted and respected Mississippi artist. 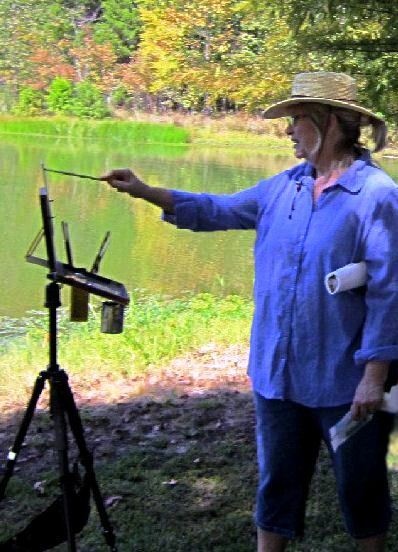 She has studied all over the U.S. with many of the nation's most prominent artists: Kim English, David Leffel, Robert Johnson, Ray Roberts, Marc Hanson, portrait artist Michael Shane Neal, and landscape artists Roger Dale Brown, John Pototschnik, Dawn Whitelaw, and others. Dot Courson is listed on the Mississippi Writers, Musicians and Artists official website for contributing to the literary and cultural heritage of Mississippi. 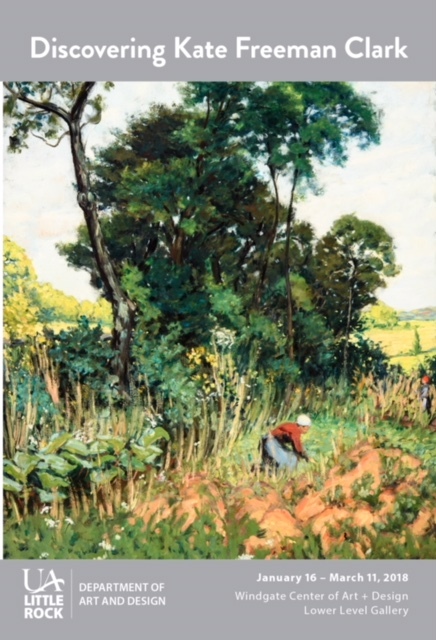 Her artwork includes still life and portraits, but is widely know for her landscapes of the South. She has traveled the United States painting and photographing the scenery, but still prefers the beauty of southern landscapes. Her goal is to remind the viewer to interpret the light, atmosphere, and essence of southern landscapes as she sees it and feels it. An exhibition of Kate Freeman Clark's paintings was the first event held in the new Wingate Center of Art and Design on the campus of the University of Arkansas-Little Rock. The exhibit ionincluded 35 canvas on oil paintings and 20 cigar box top paintings in an arrangement. Kate Freeman Clark's paintings served as a focal point of opening events at the Wingate Center. On the heels of a successful exhibition at the University of Mississippi Museum, another showing – Sunlight and Shadows – was showcased at the Mississippi Museum of Art in Jackson from August 17 - October 22. This was Kate Freeman's first solo show there since she shared an exhibtion at MMA with Marie Hull and Theora Hamblett in1988. The beautiful blue gallery walls were the backdrop for 17 of her paintings. Interperative comments accompanied each painting as well as a brief history of the artist beside her portrait painted by her mentor – William Merritt Chase. The exhibition highlightedy a discussion of the artist's life and career featuring Carolyn Brown, the author of Kate Freeman Clark's biography - The Artist's Sketch. The Autumn ArtFest – a fund-raising event for restoration of Kate Freeman Clark's paintings – celebrates art in its many forms: painting, music, cooking arts and the art of craft beer. 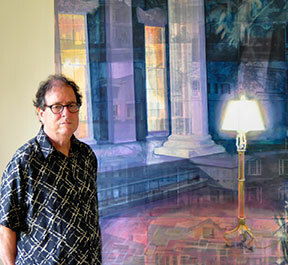 Headlining the ArtFest is a visiting artist exhibition by Paul Edelstein, a well-known Memphis painter. The exhibition will begin with an opening reception at 6:00 p.m. Following the reception, the event will resume in the back yard of the Gallery for the first time using the space for an event. Music will be provided by the Yalobushwackers, the house band of the Thacker Mountain Radio Hour. There will be a craft beer sampling of beers around the South provided by Jackson Beer Company of Oxford. Dinner will be provided by world-famous Taylor Grocery. Autumn ArtFest is an event to raise funds to restore paintings that are not suitable to display. The previous restoration program in 2015 revived 31 paintings to museum-quality with the results of an exhibition at the University of Mississippi Museum. Other exhibitions featuring these paintings are coming in August - October at the Mississippi Museum of Art, January-February at the University of Arkansas-Little Rock and a exhibition at the Dixon Gallery in Memphis in 2019. Exhibitions exposed Kate Freeman Clark's talent to more people enhancing her legacy as an important American Impressionist artist. 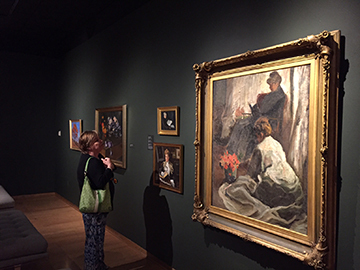 In the exhibition at the University of Mississippi Museum her paintings were viewed by 2,582 visitors. He has painted murals for the restaurant “Waltz on the Square” in Oxford, Miss., “Cafe Eclectic” on McLean Blvd in Memphis, TN, and recently a 30 foot mural at Shady Grove Presbyterian Church in Memphis, TN. His work is highly collectable and continues to gain in popularity. Inspired by her Memphis upbringing and Mississippi relatives, NJ Woods paints scenes of rustic life from memory and imagination. NJ’s distinctive creativity blossomed by watching her father Yancy paint in the middle room of their shotgun home. As the third of nine children, NJ used tempera paint to scribble pictures on the windows. Eventually she traded tempera for acrylic and window panes for canvas. heavily influenced by visits to her Grandma Sarah’s house in Coldwater, MS and other country relatives, often reflects the dichotomy of city life juxtaposed with rural traditions and stories. These stories transferred onto the canvas, typify slices of life during the sharecropping and civil rights eras marked by her adroit use of emotive colors, folksy compositions and poetic titles. NJ’s work has been shown in several galleries around the country — Tennessee, Mississippi, Texas and New York. 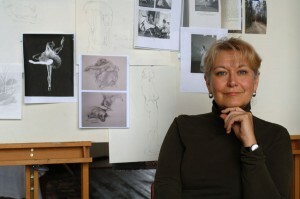 Her work has been exhibited at Dixon Gallery and Gardens Museum and the Brooks Museum. In August 2008, NJ was invited to be a guest lecturer for the Lunch and Learn series at the Dixon Gallery and Gardens, during the Ancestry and Innovation: African American Art from the American Folk Art Museum exhibition. 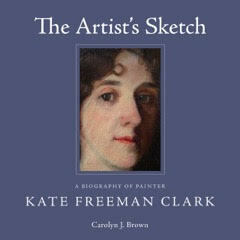 The first book signing of Carolyn Brown's biography – The Artist's Sketch: A Biography of Painter Kate Freeman Clark – will be celebrated at the Gallery. An award-winning author of two previous biograhies, Brown has done extensive research over two years pouring through journals and artifacts at the Marshall County Historical Museum and the hundreds of paintings at the Kate Freeman Clark Art Gallery. 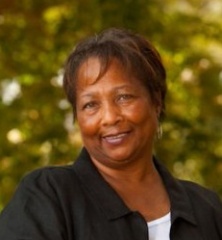 Dr. Brown is a writer, editor, and independent scholar. She attended Duke University and then the University of North Carolina-Greensboro for her Master’s and Ph.D. A Daring Life: A Biography of Eudora Welty was her first book. It was selected by the Mississippi Library Commission to represent the state of Mississippi at the National Book Festival in Washington DC in 2012, and won the Mississippi Library Association’s Award for Nonfiction in 2013. She published her second biography, Song of My Life: A Biography of Margaret Walker, in November 2014, which won a special award from the Mississippi Library Association for Juvenile Literature. Brown has published articles in many journals, including Notes on Mississippi Writers, College Language Journal, the Eudora Welty Review, Persuasions: The Jane Austen Journal, and The Journal of Mississippi History. 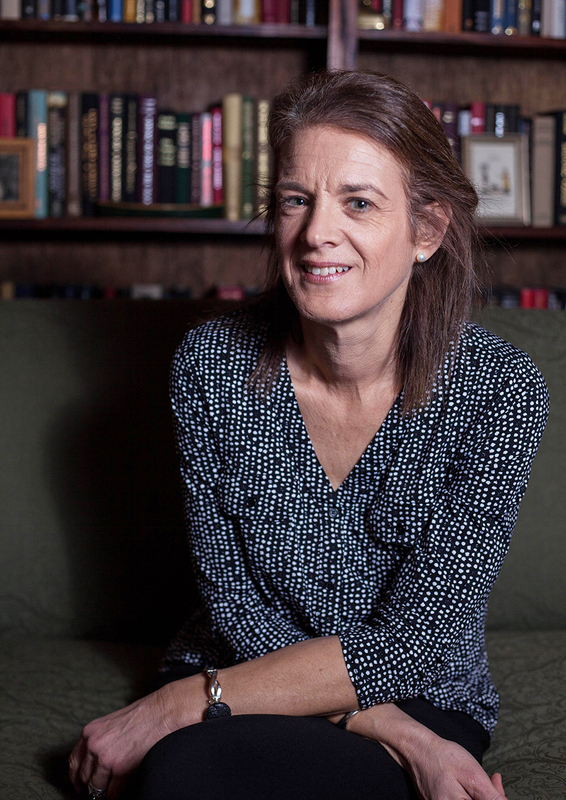 Her third book was published in February 2017 and is entitled The Artist’s Sketch: A Biography of Painter Kate Freeman Clark. More than 70 copies of the book were signed by the author. A second shipment of the books has been ordered. "The Artist's Sketch" is available at the Kate Freeman Clark Art Gallery. The book is $35. 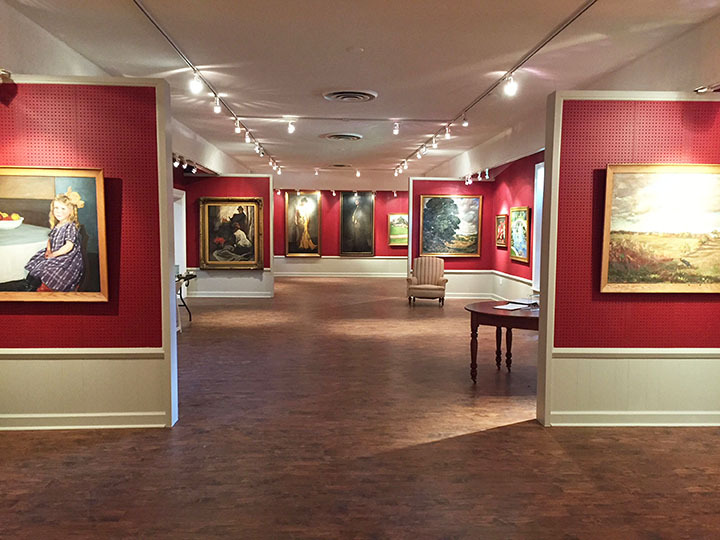 The major exhibition of Kate Freeman Clark's paintings and the release of an extensive biography of her life and career is an historic event for the Art Gallery and for Holly Springs. The University of Mississippi Museum is hosting the exhibition containing an estimated 70 of Kate Freeman Clark's paintings as well as artifacts from the Marshall County Historical Museum that illustrates different aspects of her life. 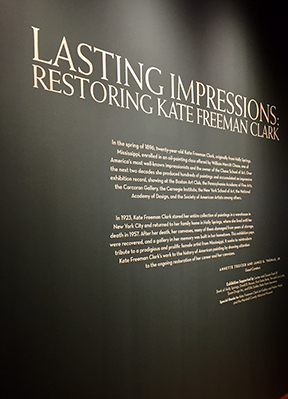 The exhibit titled "Lasting Impressions:Restoring Kate Freeman Clark" is beautifuly displayed in the main gallery at the University Museum. At the same time the University Press released the publishing of a birography of Kate Freeman Clark, "The Artist's Sketch" researched and written by Dr. Carolyn Brown, and athor of biographies of Mississippi women including A Daring Life, a biography of Eudora Welty and Song of My Life, a biography of Margaret Walker. Brown is a writer, editor an independent scholar. She has taught at the University of North Carolina - Greensboro; Elon University and Millsaps College. Her work has been published in College Language Journal and Notes on Mississppi Writers. The Eudora Welty biography won the Mississippi Library Association Award for Nonfiction in 2013 and was the Mississippi Library Commission’s selection to represent the state of Mississippi at the National Book Festival in Washington in 2012. The Kate Freeman Clark Art Gallery resumes its visiting artist series with a talented and noted artist who is a classically trained realist. Working out of her Jackson, Mississippi, studio, she brings images to life through her expert use of color in the modeling of light and shadow, her attention to detail and her unique knowledge and sense of place and space. She travels yearly to work in other areas of the world and has painted on location in selected regions of the United States as well as in Ireland, France, Italy, and Switzerland. McNeal's paintings are included in numerous prestigious, private, and public collections, and she has shown in many solo and group expositions in the United States as well as exhibiting internationally. 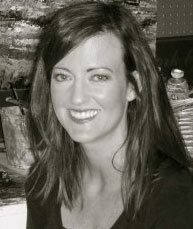 She is the recipient of many awards and honors in her field and takes commissions for both private and public works. 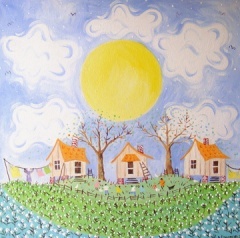 We are delighted to have such a celebrated artist to display her paintings in our gallery. For a preview glimps of her work go to her website here. The Restoration Open House is a celebration of a major event in the history of the Art Gallery. There has never been such a large scale effort to restore Kate Freeman Clark's paintings. The Gallery wants to share our excitement and provide the community with the opportunity to see how spectacular the paintings look after undergoing restoration and conservation. 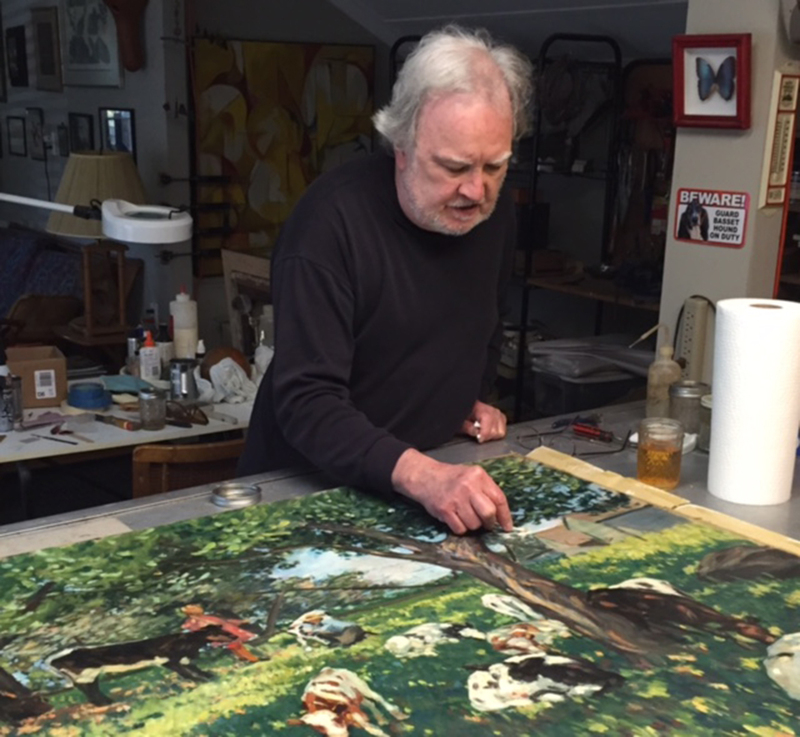 Conservationist Larry Anderson of Memphis has painstakingly nursed back to life the original colors Kate Freemen Clark put on canvas during her painting career between 1894 to 1923. The funds for this project have been raised through the 2015 Gallery Gala and from members who contributed to the Adopt-A-Painting program. In addition to restoration of the paintings, many of the plain wooded frames have been replaced with gold frames that further enhance their beauty. Larry Anderson will give a brief talk explaining the process of cleaning and preserving the canvases. He also will present a "before and after" album showing the dramatic difference in the appearance. The Board of Trustees has set a May 9, 2015 date for its major fund-raiser, the Kate Freeman Clark Art Gallery Gala and Auction.. The every-four-year event was scheduled to be held in 2014 but was delayed due to a proposed exhibition of Kate Freeman Clark paintings by the University Museum. That exhibition is now scheduled for September 2015. A highly-anticipated social event, the Gala will feature a seated dinner, live band and dancing, silent auction and a live auction. To accommodate the variety of events during the Gala a tent will be erected in front of the Gallery. The live auction will provide a rare opportunity to bid on original paintings by Kate Freeman Clark, luxury vacation packages, jewelry and art work created by noted artists. Silent auctions in the past have attracted close to 100 items for women, men and the family, upon which amounts are entered on bid sheets until the close of the auction when bids are collected. Jackson artist Ann Seale will exhibit her works at the Kate Freeman Clark Art Gallery for three weeks from December 13 – January 3. Her most recent body of work is an energetic blend of painting and drawing that displays both gusto and discipline. She began studying watercolor in high school, but soon she was exploring a wide variety of other painting media. Over the past several years her focus has been in working with oils. To advance her knowledge, she received instruction from the School of the Art Institute of Chicago in mixed media. Ann Seale is a native of Jackson, Mississippi, and attended the University of Mississippi where she obtained both a BFA and a MA in Art Education. She is married to Dr. Ben Seale, a native of Holly Springs and daughter-in-law of Ben and Robin Seale of Holly Springs. “Working closely with other artists on a daily basis has helped me to consider how to think about the process of creating original artwork. I am looking forward to broadening my focus and ideas for paintings as I progress as an artist." In July Ann is scheduled to attend the Student Arts League of New York, the same art instruction school that Kate Freeman Clark attended and where William Merritt Chase was an instructor. The paintings of Vadah Cochran will be exhibited in the Gallery from September 14 - October 4, 2014. The Opening Reception for the exhibition will be at 4:00 p.m. Noted Photorealist Glennray Tutor of Oxford, a friend who often painted with Cochran, has been invited to talk about Vadah's work during the Exhibit Opening Reception. During the event a plaque will be placed in the Gallery dedicating the East Wing in Vadah's memory. Cochran was an artist, actor, teacher, gardener and writer, who began painting scenes of his native Holly Springs, when he was a young boy. His fascination with the people and places of Holly Springs continued throughout his life. Although he painted many other subjects during his long career as an artist, his themes invariably returned to Holly Springs. As Cochran’s artistic talent became evident, his parents encouraged him to paint, and arranged for him to study with his first art teacher, a local artist, Miss Nettie Fant Thompson, who had received her training at The Art Institute of Chicago. Cochran was also influenced and encouraged by Kate Freeman Clark, the American Impressionist who studied under William Merritt Chase, and Sam Gholson, portraitist, of The Philadelphia College of Art, both of whom were also Holly Springs natives. 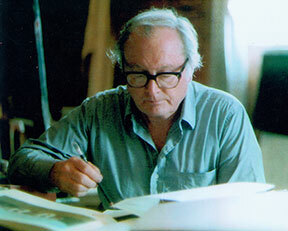 Cochran went on to study art in England, then at Memphis Academy of Art, with John Stewart Curry in Chicago, with Thomas Fogarty and David Leffel at The Art Students League in New York, and with his friend and colleague, noted Mississippi photorealist Glennray Tutor. Cochran and Tutor together wrote a screenplay for a documentary entitled Painting from the South: A National Treasure, commissioned by The Center for the Study of Southern Culture at The University of Mississippi and the Virginia Museum of Art. Cochran’s murals appear on the walls of two of Holly Springs’ antebellum homes, Wakefield and his own home, Dunvegan, and his paintings hang in public and private collections. 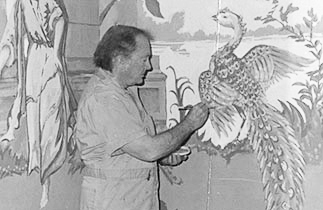 He painted his first mural for the Army Air Corps while stationed in England during World War II. When the War ended, he remained in England, France and Germany for two years to paint and study art. Cochran’s work has been exhibited in one-man shows at The University of Mississippi Center for Southern Culture, at the Jackson Municipal Art Gallery, and at other exhibitions throughout Mississippi and Memphis, Tennessee. Cochran received his Bachelor of Arts degree from Louisiana State University, his Master of Arts in Drama from the University of Wisconsin, and did graduate study at The University of Mississippi, Northwestern University, Florida State University, and The University of North Carolina. He taught English and Drama at Baldwin College in Tifton, Georgia, and at Memphis State University (now The University of Memphis), before retiring in 1983 to paint full-time. He appeared in Theatre Memphis productions of My Fair Lady in the role of Alfred P. Doolittle, and in 1776 in the role of Benjamin Franklin. With his wife, Doris, he restored his family home, Dunvegan, and its gardens. Built in 1845 by J.P. Norfleet, Dunvegan was open for many years to visitors to The Holly Springs Pilgrimage and is listed on The National Register of Historic Places. Our visiting artist in June is not far away. In fact, his studio is less than a block away from the Kate Freeman Clark Art Gallery. However, Randy Hayes has come a long way to live and paint in Holly Springs. Most of Randy's art career was in Seattle, Washington, although he's not a stranger to North Mississippi. He grew up in Tupelo and is a graduate of the Memphis College of Art. After graduation in 1968, he worked designing sets for television and film production at WGBH, a PBS affiliate in Boston. 1n 1976, Randy moved to Seattle where he was a partner in a book store and opened a gallery in the store exhibiting vintage and contemporary photographs. "By chance and design, about 1990, I developed a method of painting directly onto grids of photographs," Randy said. "This is my primary way of working today." Scenes in Holly Springs will be the subject of a series of paintings to be exhibited. You'll see Holly Springs as it's never been seen. Randy's work has been exhibited extensively in the Northwest, as well as New York, Atlanta, New Orleans, Nashville, Jackson, MS, and numerous galleries in California.